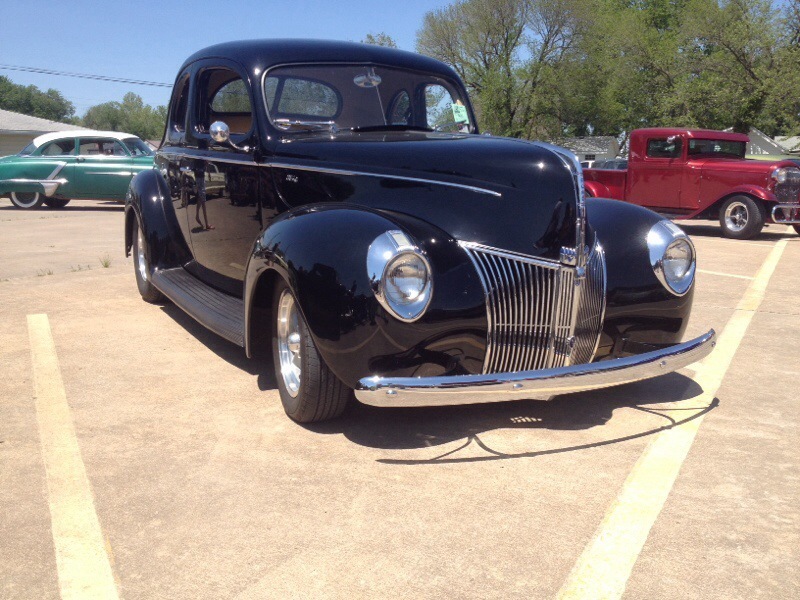 Joe Gaddy’s awesome ’40 Standard Coupe at the Stray Kat 500. My friend, Joe Gaddy, has been following the site and periodically sends me photos of what he’s up to. 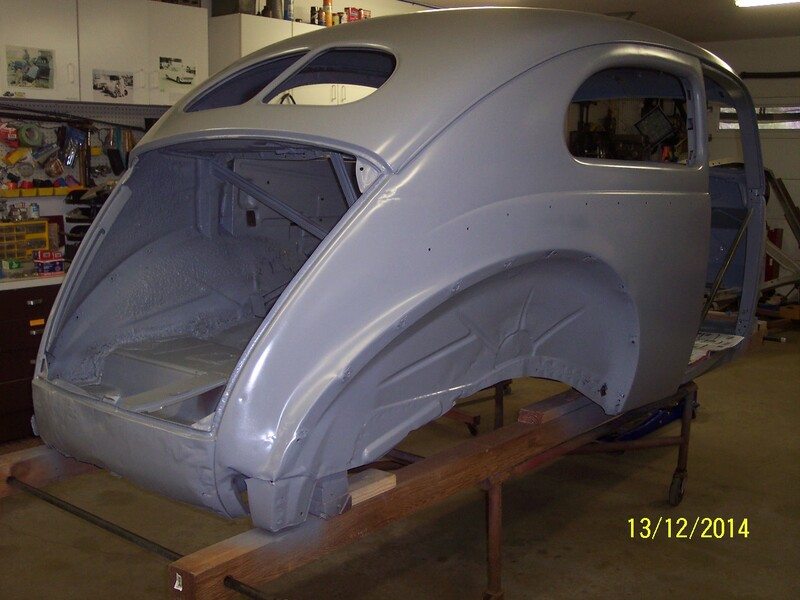 With the recent photos of Sonny Hess’s former ’40 sedan, it caused some conversation between the two of them about Joe’s latest project. 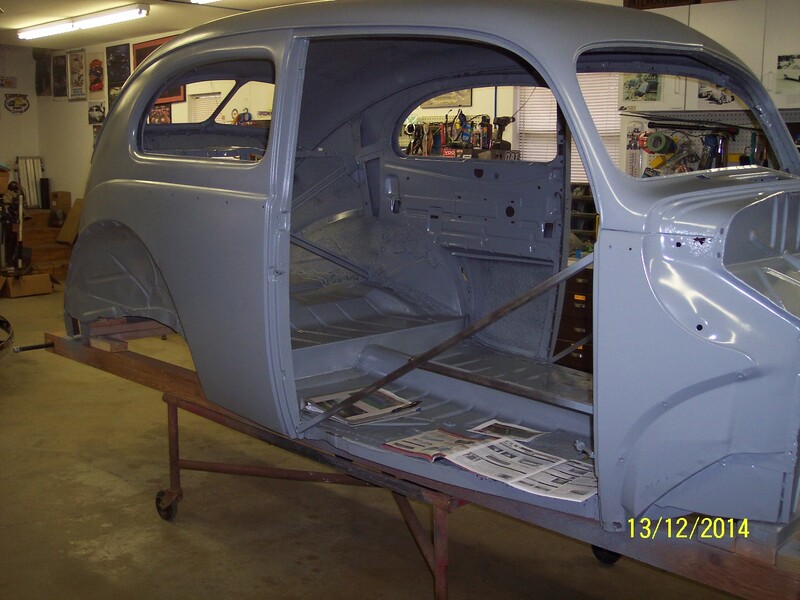 Not only does he have a killer ’40 coupe, and a really nice ’53 F100, when I stopped by Joe’s house, last April, he showed me his ’40 sedan that he was getting ready to start on. Today’s update shows a little bit of the progress that he’s made on it since I last saw it. The rear, showing some damage that needs repair. 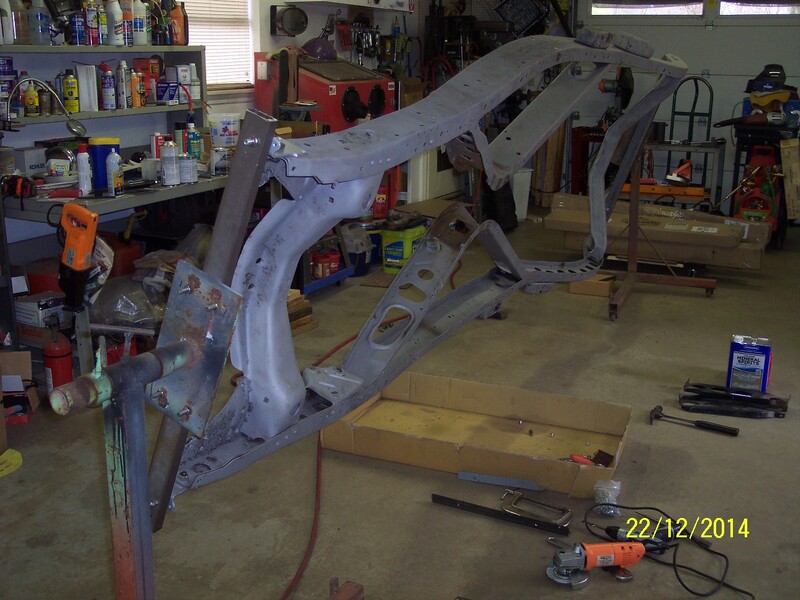 The frame rails being prepped. Joe says that his plans for the sedan is to build it as a “very casual hot rod”. With knowing the kind of work that Joe does, it should be pretty dang cool, and a great driver. Thanks for sharing your pictures, Joe!